Travel the deadly abandoned highways of the Farewell Wilderness. 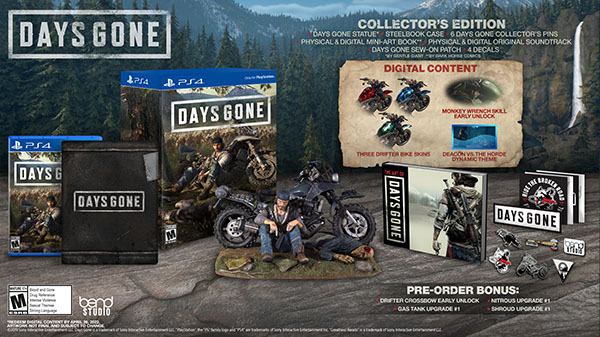 Sony Interactive Entertainment has released the first in a series of world introduction trailers for Days Gone, as well as announced a Collector’s Edition, Digital Deluxe Edition, and pre-order bonuses. Days Gone is due out for PlayStation 4 on April 26. Watch the “World Series: The Farewell Wilderness” and pre-order bonus trailers below. View the Collector’s Edition and Digital Deluxe Edition glamour shots at the gallery.